Your favourite classic holiday side dish got a mini makeover! 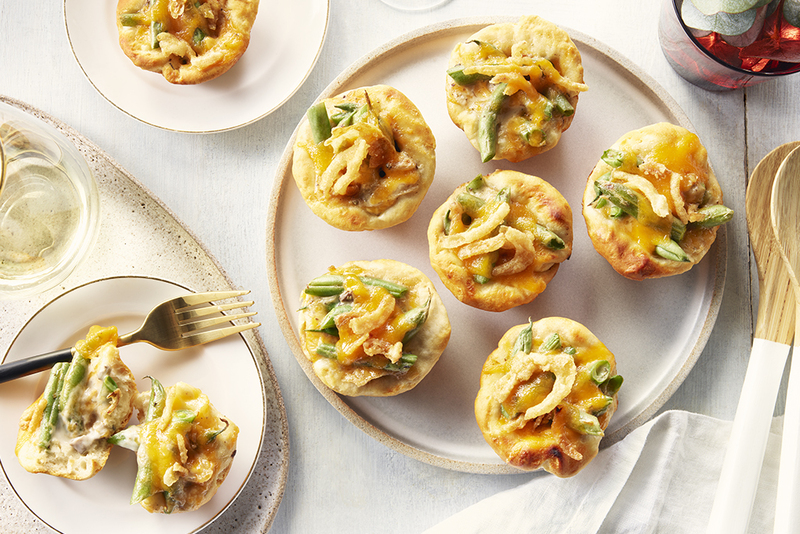 Green bean casserole makes a deliciously creamy filling for individual easy-to-make biscuits that you can make right in your muffin tin. Heat the oven to 375°F (190°C). Spray 20 muffin-pan cups with cooking spray. 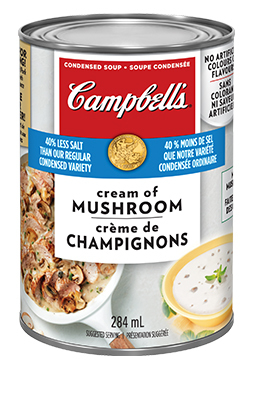 Stir the thawed frozen cut green beans, CAMPBELLS® Condensed 40% Less Salt Cream of Mushroom Soup, 2% milk, Dijon mustard and crumbled dried sage leaves in large bowl. Fold in 1 cup shredded cheddar cheese and 2/3 cup crispy French fried onions. On lightly floured surface, press out or roll each biscuit into a 4-inch circle. Press the biscuit circles into the bottoms and up the sides of the muffin-pan cups. Divide the green bean mixture among the biscuit cups. Bake for 17 to 19 minutes or until the biscuit cups are golden. Stir the remaining shredded cheddar cheese and crispy French fried onions in a small bowl. Sprinkle over the green bean mixture. Bake for 3 to 5 minutes or until the cheese is melted. Let cool in the pans on wire racks for 5 minutes before removing. You can also use fresh green beans for this recipe. Just cut them into 1-inch (2.5 cm) lengths and steam until tender-crisp. For the most flavour, use a sharper-tasting old Cheddar cheese or another sharp cheese.